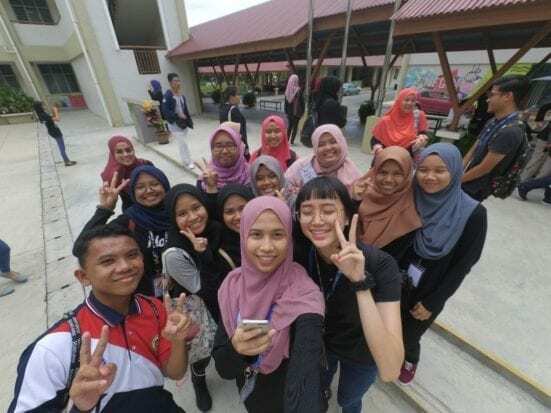 A full-day filled with excitement in an English Camp organised by 2nd year TESL students from Faculty of Education, UTM with students from SMK Seri Pulai Perdana, Skudai Johor took place at the school here today. One of the students that volunteered to speak in front of the audience during the “Follow My Story” activity. This program was carried out to educate, encourage and enrich the school students’ necessary skills in English communication for their daily life. Indirectly, this program helps TESL students’ to also enhance and enrich their soft skills. Supervised by Dr. Asha Hasnimy Binti Mohd Hashim, a senior lecturer from Faculty of Education under Co-curriculum Management subject, this programme was packed with various activities and games by providing students with an overview of the interesting and fun part of the English Language, not only to serve academic purposes, but also to develop confidence among the students in order to become proficient and better speakers of English. The overview of the Debate station layout. The first half of the programme also entailed students with the major purpose of the camp, which is to encourage students to be able to speak in front of a bigger audience through a series of Public Speaking activities. A total of five teachers from SMKSPP that came to support the programme including Dr. Asha (green shirt), a senior lecturer from UTM. In the first session of Public Speaking, students were interacting with the audience in a live “Product Commercial” activity. Students with their respective group members were to discuss and collect ideas together in order to attract buyers or audience to buy their so-called products in a series of campaigns, presenting the benefits of their products. The next activities were the “Musical Box “and “Follow My Story”. A live question and answer sessions between the students and the facilitators marked the end of the first half of the programme. After a short break, the second half of the programme was in full swing as the students were engaged in a series of enjoyable English games-stations, which were Debate, Poetry, Scrabble, Act-it-Out and Spell-It-Right station in order to get them into thinking and discovering many fun ways to learn English. Half of the facilitators posed for a picture with one of the students that joined the programme. The pinnacle of the event was the prize-giving and appreciation session between the director of English Camp, Muhammad Nor Faris Bin Pamuji and the student representative of SMK Seri Pulai Perdana. 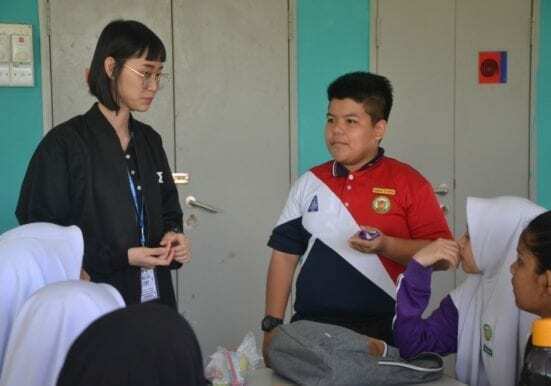 Hopefully, everlasting friendship, networking and meaningful knowledge exchange will be able to motivate the students to use English in their daily activities in order to become better English language users in the future.